Cricklade Manorial Court Lighting of the Jubilee Beacon at Saxon’s Rest, Cricklade. The Manorial Court for the Hundred and Borough of Cricklade celebrated the Queen’s Diamond Jubilee in the official lighting of the Cricklade Jubilee Beacon at Saxon’s Rest on Monday 4th June. A Beacon Ball was held in the Town Hall as part of the event with the Lord of the Manor, Mr Mike Neeld igniting the Beacon at 10.15 pm. 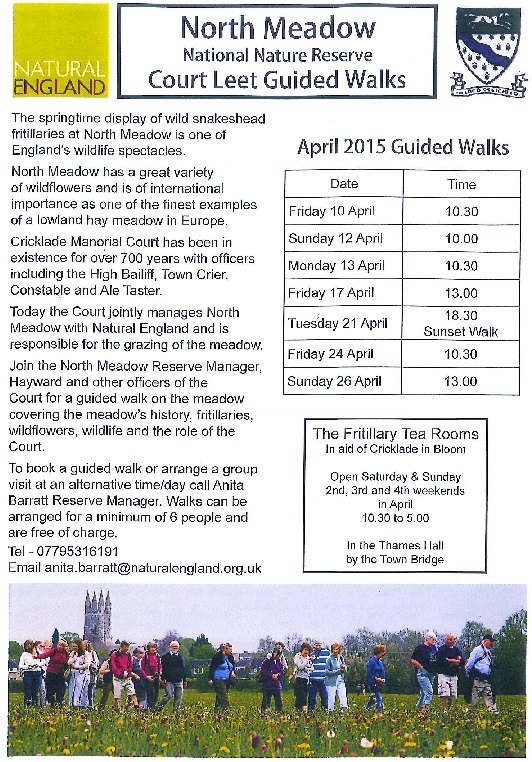 The Cricklade Court Leet are leading a Winters Walk to learn more about the North Meadow. 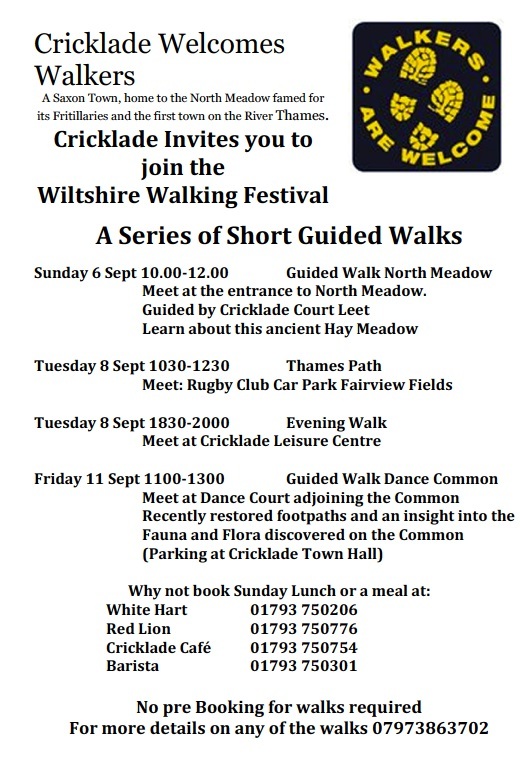 Meet at the Thames Hall, at the Thames Bridge at 1.30pm. Stout footwear is advised as the duration of the event will take approximately 2 Hrs (including refreshments and Slide show.